HomePOS Technologies BlogManage from your iPhone—Aloha Pulse Gets a Huge Update! Manage from your iPhone—Aloha Pulse Gets a Huge Update! 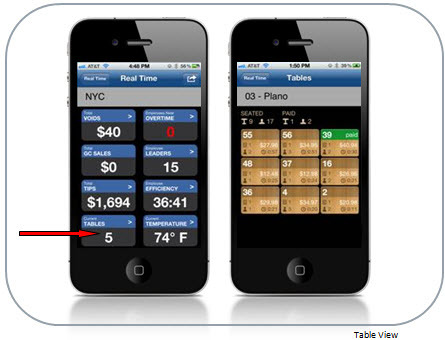 Drum roll please … our new version of Radiant Pulse (by NCR) is available on the Apple App Store! Some of these great new features have been added based on feedback from you. That’s right, folks … we do listen! And, since you are the one asking, we know you will find these additions useful to manage your business; whether on site, at home or even from the beach! I bet you go to bed at night wondering how business ended that evening. Most of you (don’t lie) even wake up and check your Smartphone FIRST thing to see those stats. Now, there’s no longer any need for those cold sweats and moments of panicking because of the unknown. 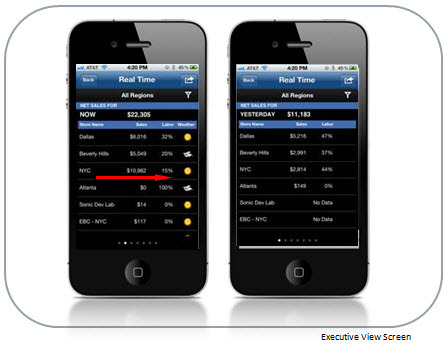 Pulse Real-Time is capturing previous day data in addition to the present day metrics. A quick swipe of your finger from left to right across the Executive View screen will reveal yesterday’s information. Next, drill into individual stores to see the net sales, labor, etc. for yesterday. So wake up and manage your business from the comfort of your cup of coffee and fuzzy slippers. Pretty great, right? We added some new tiles. No, not the kind you buy at a home improvement store to fix that leaky floor situation … these are much better than that! The new Current Table View tile gives you a bird’s eye view of what’s happening in your dining room and the Employee Efficiency tile provides all sorts of performance metrics to understand which employees reign supreme. In the Current Table View, you can see just how many tables are occupied and even how long they have been there. Oh, wait … that’s not good enough? We also tell you what the customer ordered, where they are in their meal, if the customer has paid their check and even if there are separate checks. Hold on … does knowing all this make me a stalker? Maybe. When you are in the restaurant, you are now armed with all the facts to quickly approach a table and know exactly what they ordered, how long things are taking and any other relevant info you might need to chat with your customers or staff. When you are off premise, you can check in on the operation and know exactly how things are going. Put down your stop watch and step towards your Pulse application. 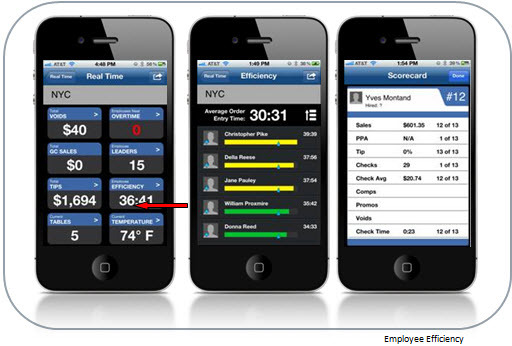 The Employee Efficiency tilemeasures check times by employee. How do we do this? Carefully. The time is calculated based on the length of time from the first item entered into the POS until a payment is tendered. Now, speed of service is at your finger tips and useful for our friends in quick service as well as table service. Of course, we added this metric to the Employee Leaders tile as well. Look, it’s always good practice to do a little housekeeping. Comps and Voids have now been re-organized by the type. These can then be drilled into to see individual check detail. And …. Now there is a Product Mix by category. 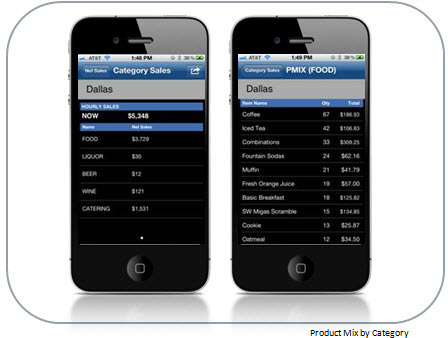 Within the net sales tile, drill into category sales, and then into each category. A Pmix is available in real time. Enter into yesterday mode and see yesterdays product mix…now call in your order with confidence! They say knowledge is power … well, you must be King of the Universe now!